For a working musician, the thought of yet another social media platform may seem exhausting, especially considering that Facebook and Twitter are already pretty time-consuming. While video- and photo-sharing networks like Vine or Snapchat may seem nonessential for musicians, don’t overlook them. Photo messaging platform Snapchat, founded in 2011, is a particularly hot platform for younger-skewing music audiences and genres like EDM. Unlike photo and short form video sharing apps like Instagram and Vine, a message on Snapchat is only meant to exist on a user’s phone for a short period of time, and disappears after four to 10 seconds. EDM artists like Diplo (Diplo3000 on Snapchat) and Dillon Francis (DillyFrancis) use the messaging system to connect with fans in a more intimate, personal way, sharing backstage pictures and party videos with Snapchat users. But Snapchat isn't just for DJs and pop stars. Canadian indie songwriter and composer Owen Pallett has cultivated an enthusiastic social media fanbase with his witty and quirky posts on Snapchat. What’s more, the "gimmick" of Snapchat – the idea that messages have a limited shelf life – makes the messages even more special and meaningful for fans. How can you use Snapchat to promote your music to fans (after you’ve downloaded the app and connected with them, of course)? Here are three ideas of what you might share. If you're in the studio working on a new track or rehearsing for an upcoming gig, a short video on Snapchat can be a teaser for devoted fans. It’s been done a few times in the EDM scene, and not just for music tracks. Afrojack posted 10-second teasers of his debut album Forget The World via Snapchat, while Swedish DJ Alesso went a step further, using Snapchat to premiere his music video for "Tear The Roof Up." If you’ve got exciting, buzzworthy news to share – for example, a new single or album, or getting signed to a label – sending a short photo or video message via Snapchat may be a way to connect with loyal fans first before announcing your news more formally via another medium. This past summer, MTV used Snapchat to announce the nominees for its Video Music Awards through several 10-second videos before sharing the news publicly. If you’re comfortable with video storytelling (and maybe giving up a bit of personal privacy), Snapchat is a great way to share informal behind-the-scenes moments with fans. Not just what you’re doing at the studio, but also hanging out with friends and family, buying awesome new gear, or checking out your own favorite bands in concert. Fans will feel as if they're getting a special glimpse into your life, and that you’re connecting directly with them. It’s the kind of personalized connection that Snapchat is made for, and since the message is fleeting (at least in theory – we’ll get to that in a second), you’ll be sharing content that fans will view as special and exclusive. Of course, as with anything shared on the internet, there are no guarantees of total privacy. 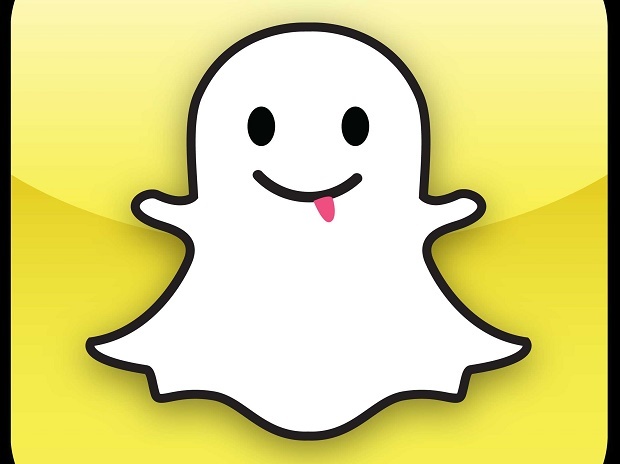 Recently, hackers leaked nearly 200,000 images originally shared via Snapchat to online photo-sharing boards. It should go without saying, but be mindful of the information and content you share via Snapchat (or any other platform). Even though Snapchat promises a short lifespan for your messages, the internet really is forever. If you've taken the time to connect with fans on Twitter or Facebook, it's worth it to give Snapchat some consideration. Unlike Facebook and Twitter, or even visual platforms like Instagram and Vine, some artists use the app to share more intimate, personal, and informal messages than they would elsewhere on social media. While Snapchat's not a must-have app for every musician, depending on your audience and how you want to communicate with them, it just might be an ideal platform for your music to cut through the social media noise.